You probably spent many of your childhood years dreaming of this one day. From the moment you were asked to marry them, you finally could start planning your dream wedding!! For most brides, choosing what flowers you want and colors you want to use can be tedious. Relax! I can guide you through the process. 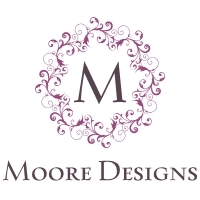 Moore Designs prides ourselves on silk floral designs. Let us create beautiful floral arrangements for your special day. Our designs are unique and special as you are and we give every wedding the personalized attention it deserves. At Moore Designs I also can help with any special occasion you might need floral arrangements for. Please do not hesitate to contact me if you have any questions or would like to make an appointment for a consultation. Consultations are free.